January 15, 2010: This is very strange weather happening here. January 21, 2010: The Australian Government Bureau of Meteorology and the public response to this article. January 22, 2010: What now? 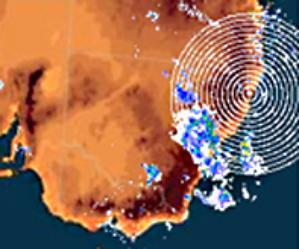 Seen on radar by thousands today over Australia. What is going on? January 22, 2010: H.A.A.R.P. in Australia plus updates. national radar over Melbourne Australia today - but then what? Is this the H.A.A.R.P. system heads towards Cyclone Olga - watch this low. January 29, 2010: NASA comment about the unusual persistence of storm Olga. happened to monitor it all unfold. Was it the perfect cup of tea by HAARP? February 4, 2010: A reply from the Australia Government's Bureau of Meteorology. 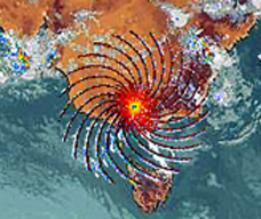 February 9, 2010: The Australian Government begins an investigation into mysterious radar images. February 9, 2010: Official reply from the Bureau. February 9, 2010: When the drought-ending rains came to Australia what was in the water that fell? witnessed at the site of both phenomenon. explain what is going on over Australia? February 19, 2010: Melbourne at the center of something strange from above or below - HAARP? February 23, 2010: A report of happenings today. 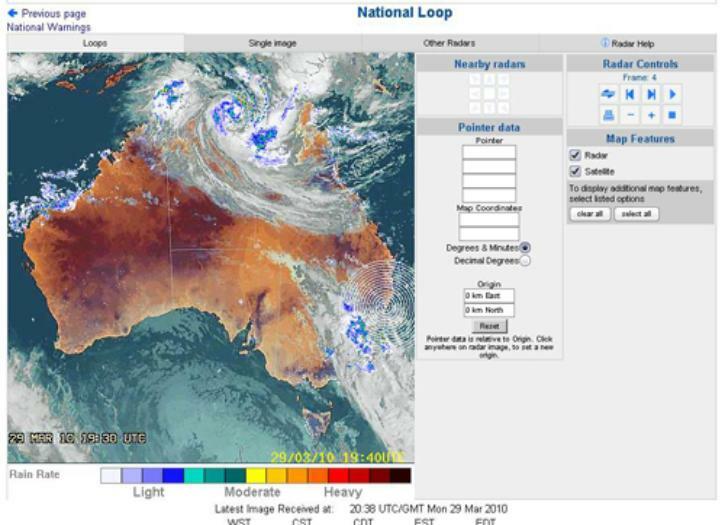 March 4, 2010 : Thomas Bearden and the radar/weather patterns over Australia. March 4, 2010 : Looking for answers the Shaman way with dowsing. March 4, 2010 : Looking for answers from inner intuitive - Secret Weather Control by American Military. 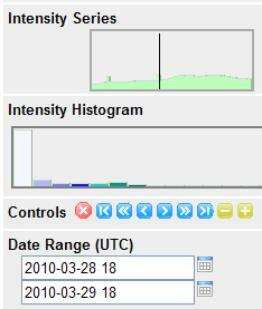 March 10, 2010 : What turned a 1,000 year super drought into a 100 year super storm over Melbourne? March 10, 2010 : Dr. Bruce Maccabee comments on the radar images. 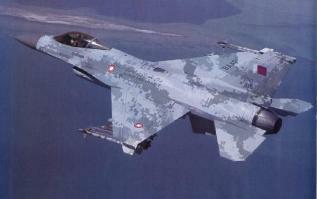 interferences on the national radar system. March 25, 2010 :Shocking symbols, Super storms and UFOs over Australia - This madness keeps coming. rings explode over the national radar system. N.A.T.O. report is smoking gun. April 8, 2010 ; Coffs Harbour and also after three months, conclusions. 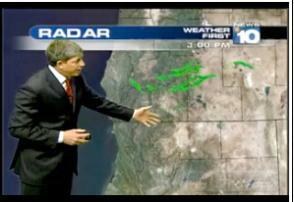 April 10, 2010 : KTVL reveal source of strange weather radar in the north west of the United States. 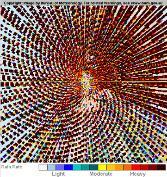 April 30, 2010 : Radar again erupts into a Firework Display. Woomera may have given us the answer. what was causing the wide spread interferences"
Nearly a quarter million visitors have visited this story. 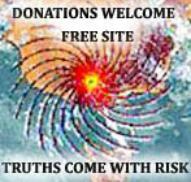 Select to make a small donation. but many of those also can not be easily explained. a radar located at Grafton to the north of the 'interference' - see below. power. There are two notable peaks in the time series associated with two radar pictures each. be able to see any difference. not know where to obtain that data currently. 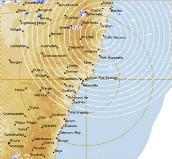 The national chart showing satellite overlay and radar together at the moment of one of two designs appearing at Coffs Harbour. over Australia - Report and Conclusions.